This is Joe Labarbra, from Veolia Sanitation. 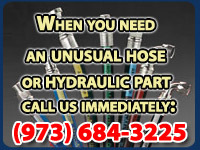 Over the years that I have had the pleasure to do business with your company I have come to the conclusion that your company could set the tone for Hydraulic Service in America, for small and large business. You’re true to your word when you say you're going to finish the work on time, your representatives are very experienced, the Technicians that do the work are great and I know that you and, every one of you guys really try to do the best for your customers and you succeed, the person who is looking for hydraulic service needs to really know that you guys are knocking yourselves out. It's very rare that you find a company that is as all together in every aspect as you guys are, and I really just feel that it would be the right and a decent thing to let everybody know this company is not just a service provider but a business partner in all senses. Thank you again. I need to thank you again for the excellent service I received from your Pump Department. I am thrilled with my equipment performance, and Bill was so pleasant and very professional. I have a good friend who just bought some sanitation equipment. I've already told him all about your service, and I strongly encouraged him to recommend your company to all potential customers. Thanks Again! Your Service is GREAT and you Rock! That's why I stick with you guys. Thanks for taking care of my hydraulics problems. I'm at peace knowing you are warranting all your work. I look forward to continuing to do business together for many years to come. Once again, it is my pleasure to commend the service persons you work with. I received superior service from “Joe” from the Repair shop a month or so ago, when the hydrostatic pump on my Excavator was overheating. I had to stop the machine to diagnose the problem He went out of his way to make room for me in his schedule, and fixed the problem. Then, one of the dump trucks quit on us. Monday is the only day I can be at home, and even though Joe had a full schedule, he managed to schedule people to fix the problem at 5:00 p.m.! I'm sure he'd have rather been home, but he was pleasant, efficient, and, the job is well done! I hope I don't have to contact you again, under these critical circumstances but is a huge relief to know that, if something does go wrong here at the worksite, my friends from American Hose & Hydraulics will be there for me! Thanks to all of you for a fine service. I would like to take the opportunity to thank American Hose & Hydraulics for the expeditious and uncomplicated handling of the repair of one our hydraulic pumps. My special thanks go out to Ken and Camilo, they dealt with our emergency in a professional and courteous way that helped us get the equipment back on operation the very next day after the incident happened, helping us tremendously dealing with the machine down time burden. The professionalism and courtesy of your personnel set a standard for hydraulic service companies in the East Coast Area, again our heartfelt thanks for a job well done.